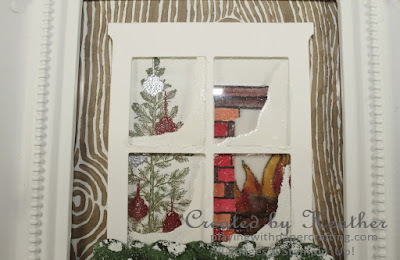 Playing with Papercrafting: Home is Where the Hearth Is! A quick post for today with the decor item I promised you for the second free tutorial for my newsletter subscribers in the December edition. This one is a bit fiddly but fun to do and definitely looks great on your wall during the Christmas season. It would make a great gift as well. You are supposed to be looking from the outside in to a cozy, decorated log cabin. This card makes use of the Hearth & Home Thinlits, as well as the Festive Fireplace Stamps and Framelits, with an old favourite, Lovely As A Tree, decorated with ornaments from Among the Branches. The Festive Fireplace bundle is retiring as is the Among the Branches stamp set, so don't wait too long to get those products. 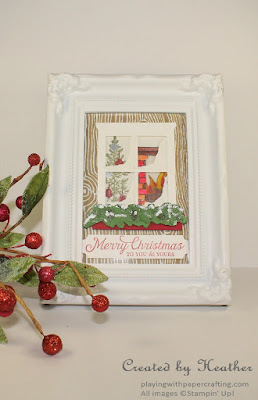 I've always wanted a return of the Versamark pen to add embossing powder to a smaller area without using a stamp, but I discovered a way to get the same result in my tutorial. Subscribe to my free monthly newsletter to find out how I did it. Add your email address below and click on Go to subscribe. You may unsubscribe at any time. 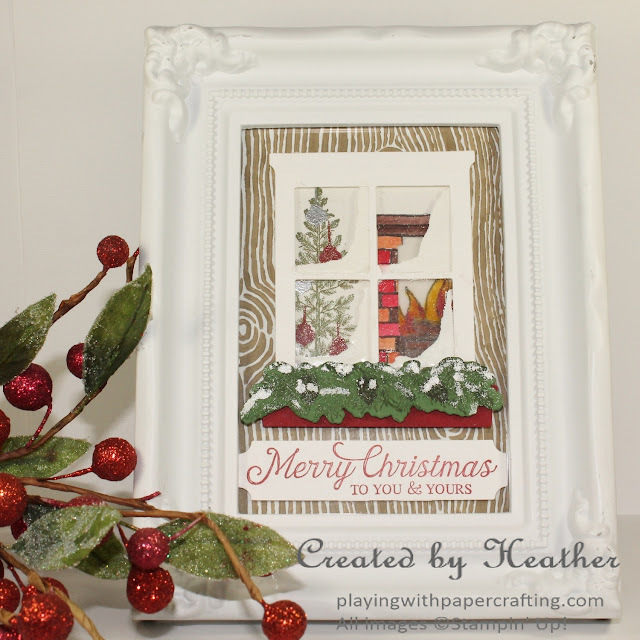 I won't be posting the card recipe today, as you will be able to get a step-by-step photo tutorial when you subscribe, including supplies used, techniques and all measurements.